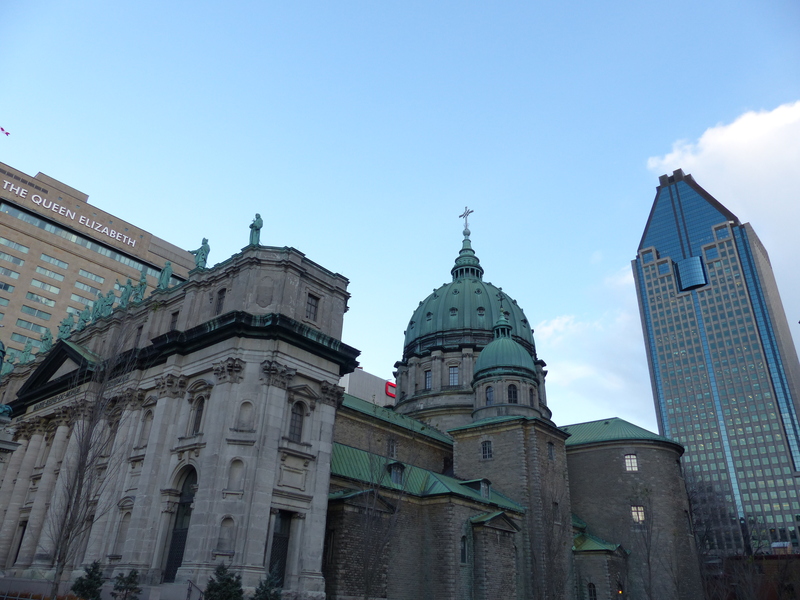 Stewart challenged me to write about Montreal without mentioning the cold. I can’t. It was bloody freezing! Its not like it was the coldest weather we’d had so far, it hit zero at the top of Mount Revelstoke where we saw our first snow, and we had woken up to frost on our car in Banff, but this was different. We couldn’t escape it by going further down the mountain and it wasn’t going to warm up later in the day. 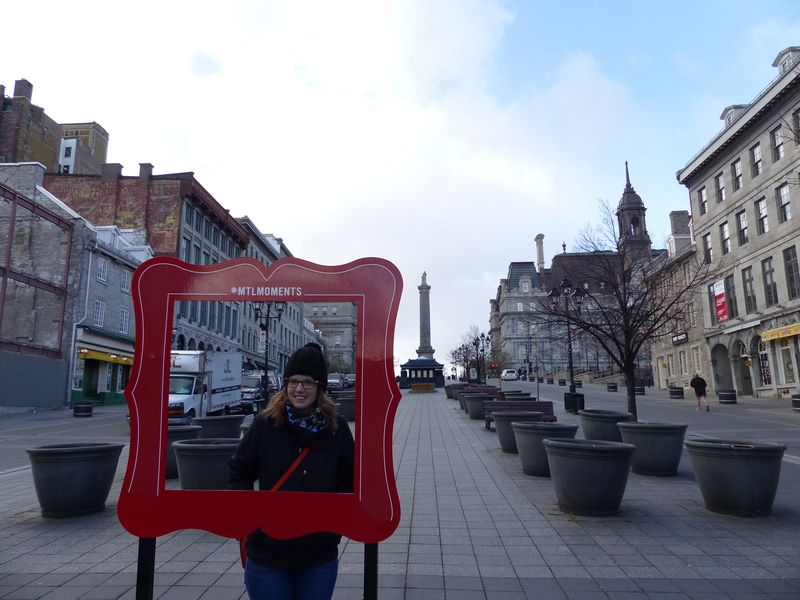 This was the start of our Canadian winter experience and I wished I’d brought more jumpers! 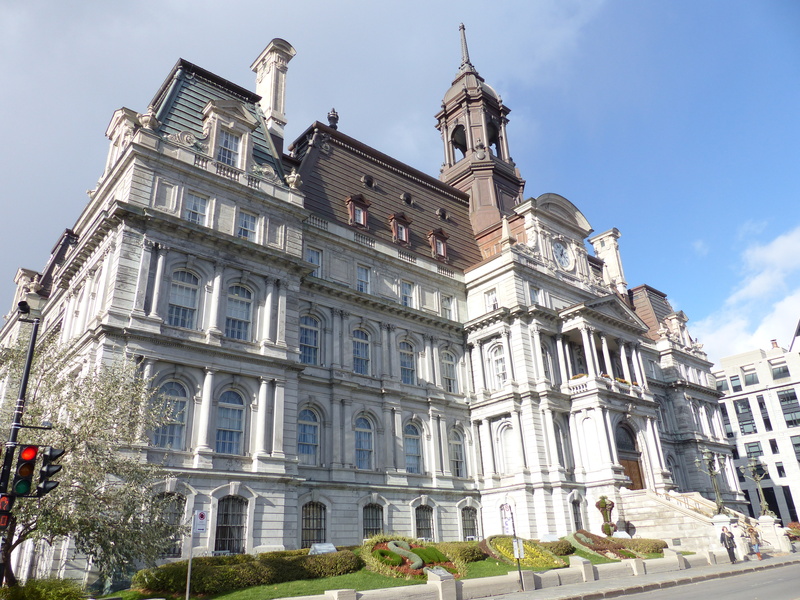 Lucky for us the people of Montreal are all set for the winter (and their hot humid summers) and have built an underground temperature controlled city called RESO. This ‘underground city’ is a myriad of tunnels and covered walkways leading to metro stations, hotels, malls, restaurants, cinemas, exhibition centres, you name it, it’s got it. 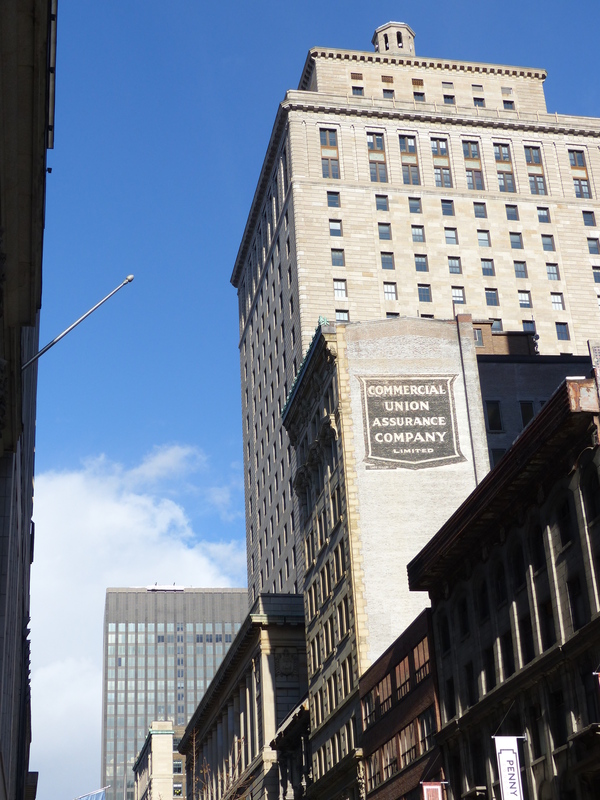 With a mishmash of styles, ages and design it’s not a uniform network by any means and we have to admit that we did end up getting lost a couple of times. The busy parts felt like we were in an ants nest with lots of people purposely heading off in different directions, and with new bits being added on haphazardly it felt a bit like a human version of a Rotastak hamster cage. 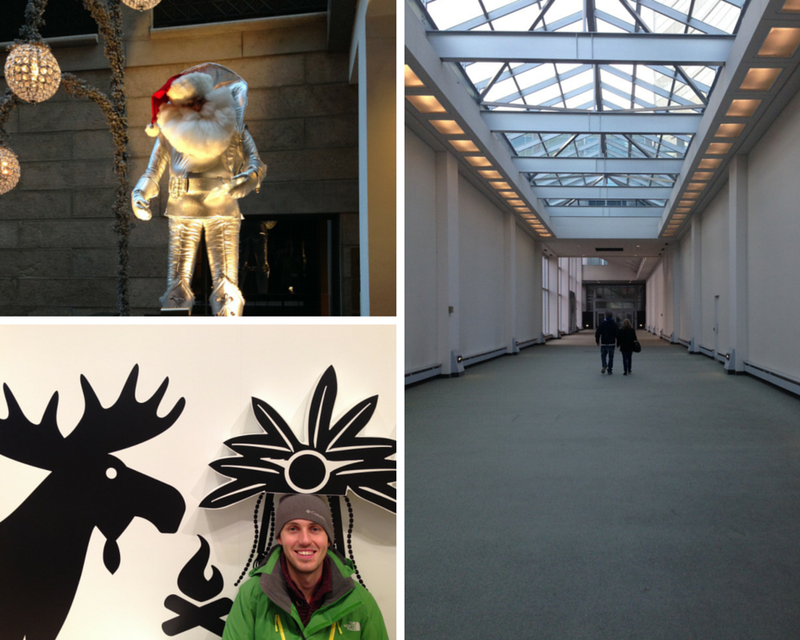 Clockwise from the top left: a weird futuristic Santa in a RESO shopping centre; a quieter part of the RESO; Stewart making friends with a moose in the Tourist Information Centre. Needless to say, once we discovered the full extent of this network we made good use of it to get around and it was down here that we finally got to sample a toffee apple from the amazing Rocky Mountain Chocolate Factory that we’ve been eyeing up since we got here. Verdict: they are as good as they look! The amazing Rocky Mountain Chocolate Factory apples – a good way to get one of your five-a-day! 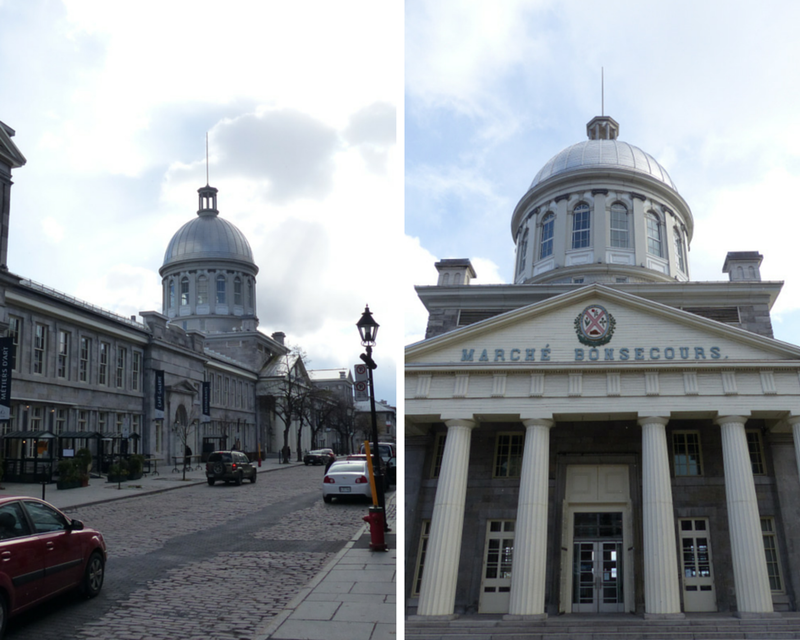 Knowing that we’ll be coming back here for the Canadian Grand Prix in June we didn’t try to cram too much into one day and spent most of the time checking out the sites of Vieux-Montreal (or Old Montreal in English). 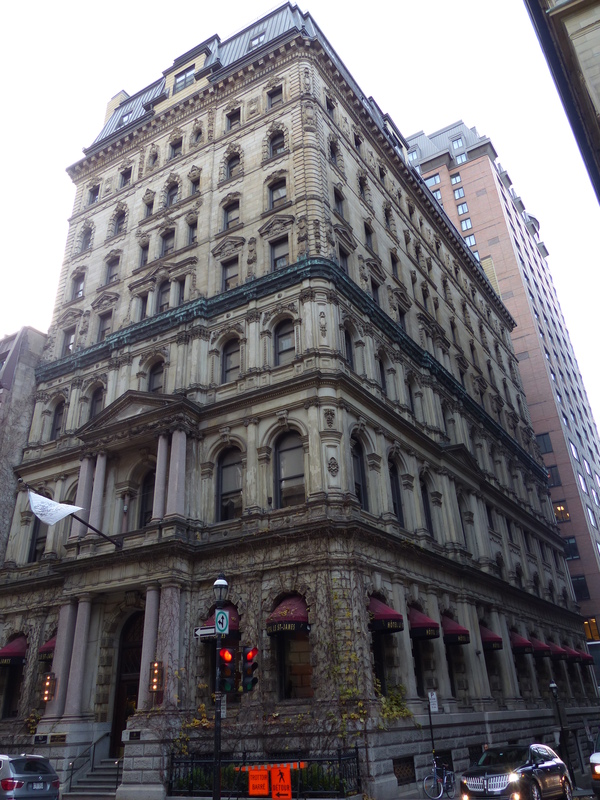 As its name suggests, this part of town is full of old buildings and cobbled streets. 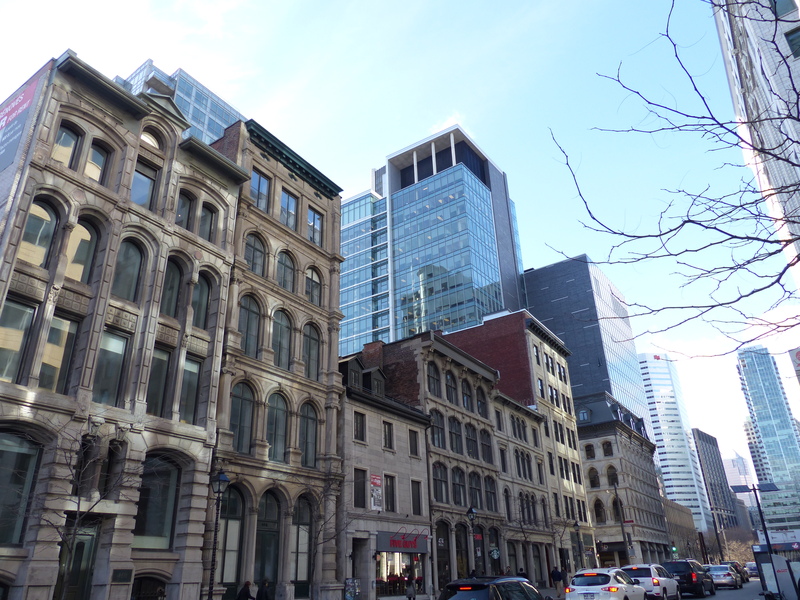 In fact it has North America’s greatest concentration of seventeenth, eighteenth and nineteenth century buildings, making it very popular with tourists, and there is certainly a French vibe to the architecture. 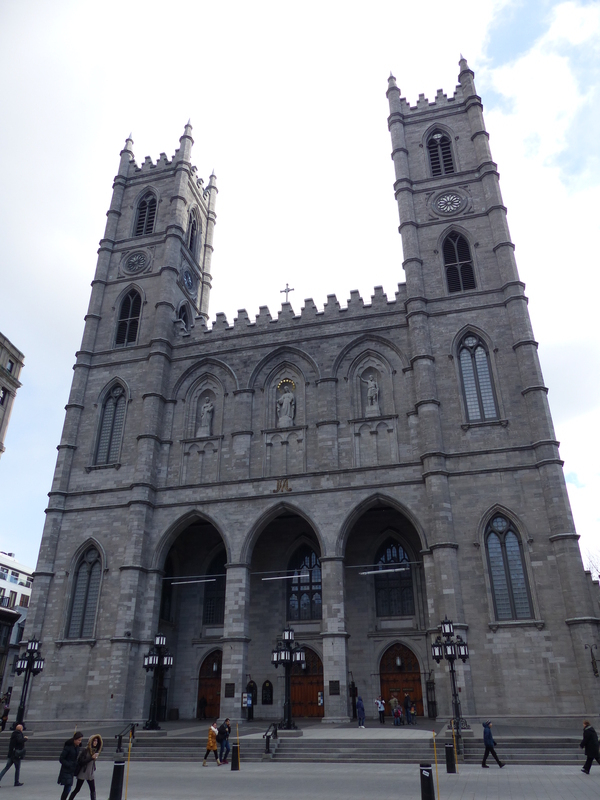 Despite Montreal being the 2nd largest French speaking city in the world after Paris, we heard just as much English being spoken and had no problems when ordering food and getting around. Looking back at this picture I realise I’m not wearing anywhere near the amount of clothes I would wear to go outside now. No wonder I was so cold! 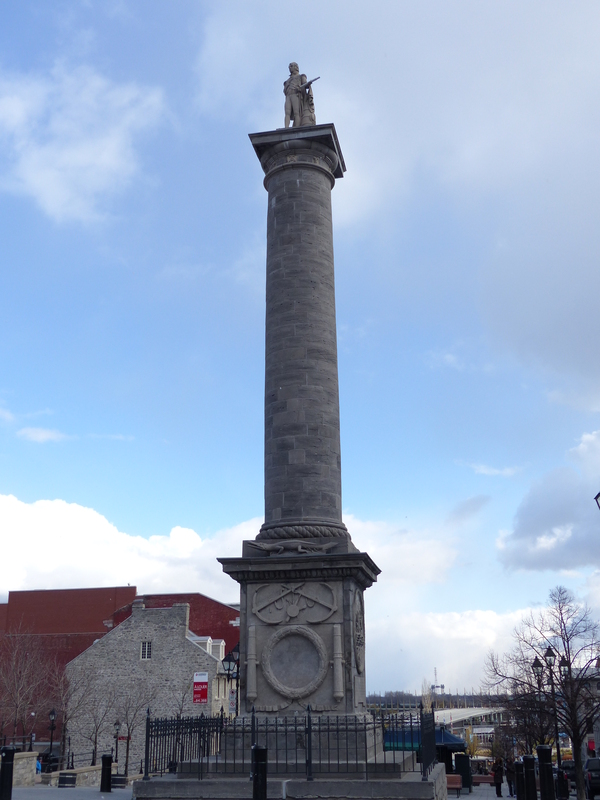 The Nelson Monument (older but smaller than Nelson’s Column) in Vieux-Montreal. 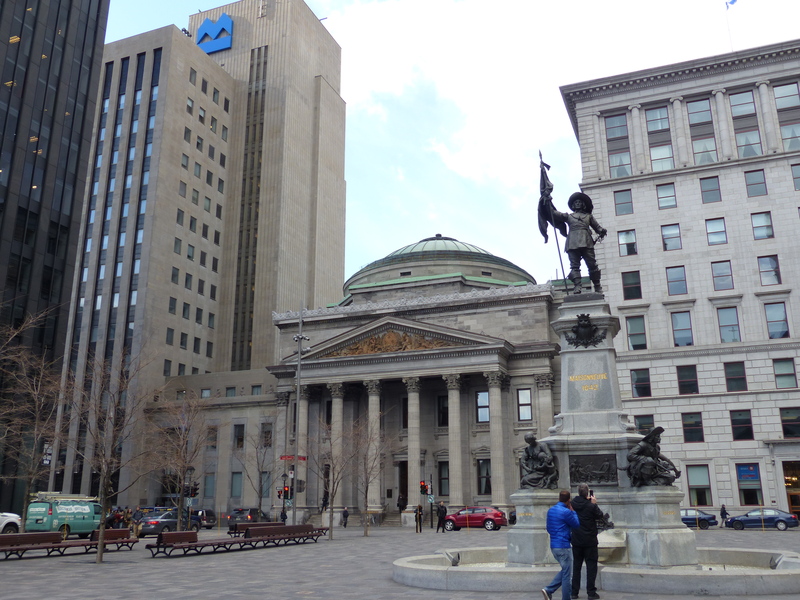 Built by anglophone Montrealers to celebrate Nelson’s defeat of the French in the Battle of Trafalgar, it can’t have gone down well with the local French population! 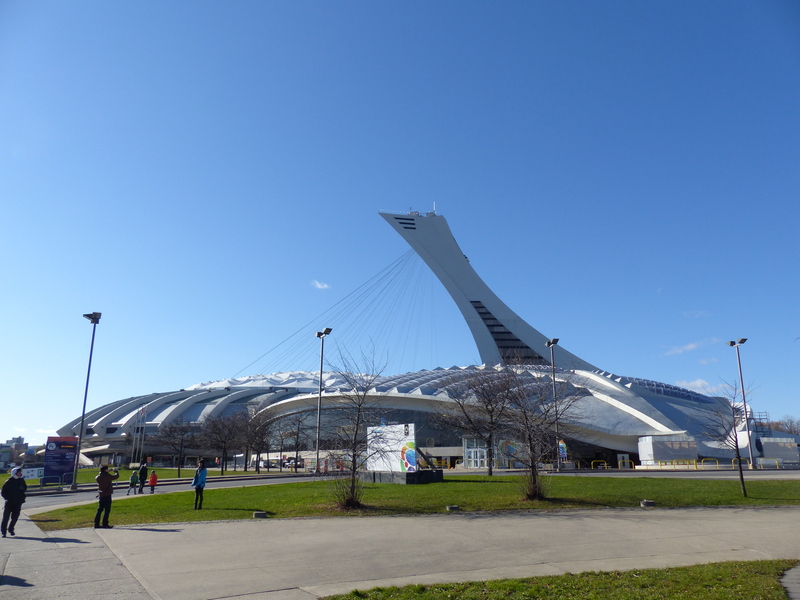 Don’t be fooled by the sunshine and blue skies, it was anything but warm in Montreal! Next Next post: Our first real snow!